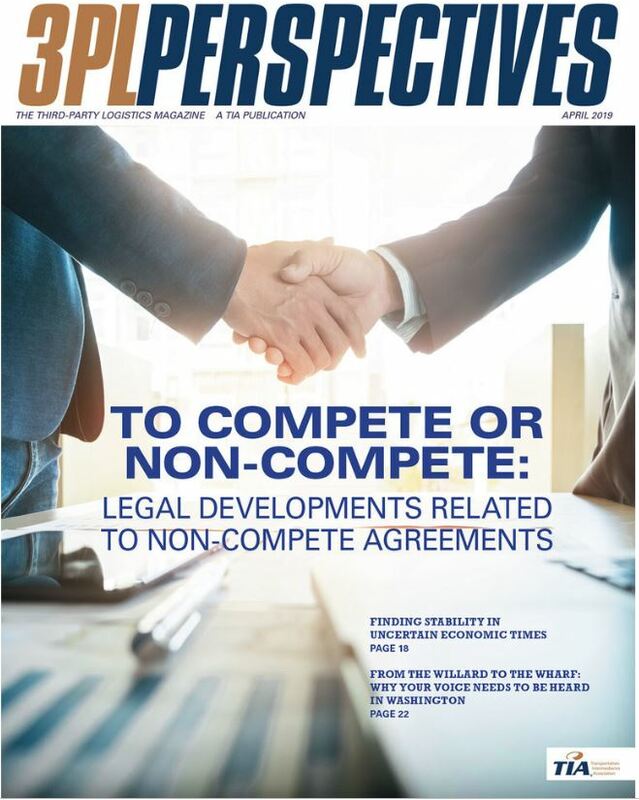 The use of non-compete and non-solicitation agreements by 3PLs is common. In an industry where turn-over can be high, and protection of confidential and proprietary information vital to a 3PL’s continued growth and success, the implementation of restrictive covenants in a 3PL’s employment agreements is widespread. Given this practice in the industry, it is even more important to revisit the employment agreements utilized in the industry and examine whether the agreement itself conforms to shifts in the ever-changing landscape of restrictive covenants. A restrictive covenant is typically a clause in a contract which prohibits an employee from competing with his/her ex-employer for a certain period of time after the employee has left the business (non-compete); prevents the ex-employee from soliciting or doing business with customers of the ex-employer by using knowledge of those customers gained during his/her prior employment (non-solicit); or a combination of both. Employment agreements also usually contain confidentiality provisions that forbid an ex-employee from disclosing confidential information the ex-employee learned during the course of his/her prior employment. Such protected information in the context of a 3PL could include, but is not necessarily limited to, customer names, customer contact information, prospective customers, rates, lanes, and intellectual property, among other things. With this in mind, here are key legal developments relating to restrictive covenants in employment agreements that 3PLs need to keep in mind. In August 2018, the Massachusetts legislature enacted a far-reaching law that imposes substantive and procedural requirements for non-competition agreements and prohibits their use for several classes of employees (notably, employees who are classified as non-exempt). The law became effective and applies to agreements entered into, on and after Oct. 1, 2018. The new law defines a “non-competition agreement” as an agreement between an employer and an employee (including an independent contractor) or otherwise arising out of an existing or anticipated employment relationship, under which the employee or expected employee agrees not to engage in certain specified activities competitive with his or her employer after the employment relationship has ended. As you can see, many types of common agreements used by 3PLs are not barred by the new law, however, the traditional non-compete agreement is severely limited. If the agreement is entered into when employment begins, it must be in writing, signed by both the employer and employee, and expressly state the employee has the right to consult with counsel before signing. Further, the employee must be given the agreement by the earlier of a formal offer of employment or 10 business days before employment begins. Employment agreements also usually contain confidentiality provisions that forbid an ex-employee from disclosing confidential information the ex-employee learned during the course of his/her prior employment. To be valid, the non-competition agreement must be no broader than necessary to protect: (1) the employer’s trade secrets; (2) the employer’s confidential information that otherwise would not qualify as a trade secret; or (3) the employer’s goodwill. A non-competition agreement may be “presumed necessary” where the legitimate business interest cannot be adequately protected through an alternative restrictive covenant such as a non-solicitation, non-disclosure, or confidentiality agreement. An agreement may not exceed 12 months. However, if the employee has breached a fiduciary duty, or has unlawfully taken employer property, the duration may extend to two years from the date employment ends. Finally, the agreement must be consonant with public policy. Non-competition agreements are unenforceable against: (1) employees classified as non-exempt under the Fair Labor Standards Act; (2) undergraduate or graduate students who partake in an internship or otherwise enter a short-term employment relationship with an employer; (3) employees who have been terminated without cause or laid off; and (4) employees age 18 or younger. 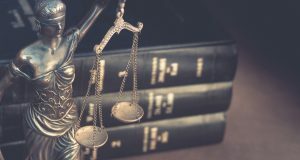 The law expressly permits a court to reform or otherwise revise an agreement so as to render it valid and enforceable to the extent necessary to protect the applicable legitimate business interests. In June 2017, Nevada enacted a statute regulating non-compete agreements. The law specifies that a non-compete agreement is unenforceable unless it (1) is supported by valuable consideration; (2) does not impose restraints that are greater than required for the employer’s protection; (3) does not impose an undue hardship on the employee; and (4) imposes restrictions that are appropriate in relation to the valuable consideration supporting the non-compete agreement. Additionally, a non-compete agreement may not restrict a former employee from providing service to a former customer or client if (1) the employee did not solicit the former customer or client; (2) the customer or client voluntarily chose to leave and seek services from the former employee; and (3) the former employee is otherwise complying with the temporal or geographic limitations in the non-compete agreement. If an employee is terminated because of a reduction of force, reorganization, or similar restructuring, a non-compete agreement is only enforceable during the period in which the employer is paying the employee’s salary, benefits or equivalent compensation such as severance pay. Finally, if the court finds the non-compete agreement is supported by consideration but has unreasonable restrictions, the court must revise it to the extent necessary to make it reasonable and then enforce it as revised. Typically referred to as blue-penciling, this new requirement expressly overturns a Nevada Supreme Court decision that prohibited rewriting non-compete agreements to make them reasonable. In American Air Filter Company v. Samuel C. Price, Jr. and Camfil USA, the employee entered into an employment contract after his employment began which contained both an automatic renewal clause and a non-compete provision. The employee received additional compensation, in addition to his salary, for executing this agreement. Several years later, the employee resigned to work for a competitor. His former employer sued for breach of contract. The court dismissed the suit, explaining that the employee had received consideration to support his non-compete restriction when he first signed the employment contract. But each time the contract automatically renewed, the employer did not provide any additional consideration for the non-compete provision. As a result, the court held that “[a]ny failure to provide consideration for a given year’s renewal would break the ‘chain’ and render the [original agreement] unenforceable as to subsequent years.” While the Court applied Kentucky law, it is likely the court would have reached the same result under North Carolina law. So this case is important to employers in both states. California has the strictest law against restrictive employment covenants in the country. The non-compete statute (Section 16600 of California’s Business & Professions Code) states that “every contract by which anyone is restrained from engaging in a lawful profession, trade, or business of any kind is to that extent void.” For almost a century, the California courts have broadly interpreted this statute in favor of open competition and employee mobility, even at the expense of what – in other states – could be considered the employer’s legitimate business interests. This makes it notoriously difficult to enforce non-compete agreements against former employees in California. And the 9th Circuit Court of Appeals has just made it even harder. The 9th Circuit held that California’s prohibition on restraining employees’ employment was not limited to agreements with traditional non-compete provisions. Golden v. California Emergency Physicians Medical Group (CEP). Instead, the broadly worded non-compete statute encompasses “every contract” that restrains a person’s profession, trade, or business: “We have no reason to believe that the State has drawn Section 16600 simply to prohibit ‘covenants not to compete’ and not also other contractual restraints on professional practice.” Section 16600’s stark prohibition on restraints of trade “extends to any restraint of a substantial character, no matter its form or scope” and “extends to a larger category of contracts than simply those where the parties agree to refrain from carrying on a similar business within a specified geographic area” (in other words, a traditional non-compete agreement). These state-specific statutes and decisions demonstrate the importance of 3PL employers reviewing employment agreements in place and ensuring that those agreements comply within the legal framework of the states in which the 3PL operates. Equally as important is understanding what is on the horizon. In April 2018, Democratic legislators in the Senate and House proposed bills (SB 2782 and H.R. 5631) that generally seek to broadly ban the use of non-compete agreements across the country. With Republican control, these bills received little consideration. However, with control shifting in the House after the midterm elections, Democrats in the House may seek to resurrect H.R. 5631. With the White House and Senate still controlled by Republicans, the passage of the bill may not be possible. But as with any issue receiving scrutiny on the federal level, such attention could compel action at the state and local levels. And the question will ultimately be: to compete or non-compete. James W. Kelly, II is an attorney in the Cincinnati office of Vorys, Sater, Seymour and Pease, LLP. He can be reached at jwkelly@vorys.com and 513- 723-1086.